I moved house in September last year, from a proper house in Derbyshire to a tiny 25m square flat in Edinburgh. 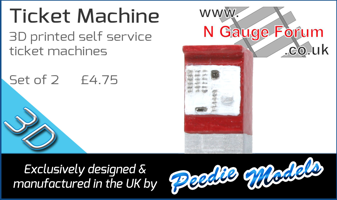 As a result Newtonmore, my 8ft long N gauge layout is in a storage unit until we find somewhere to buy. 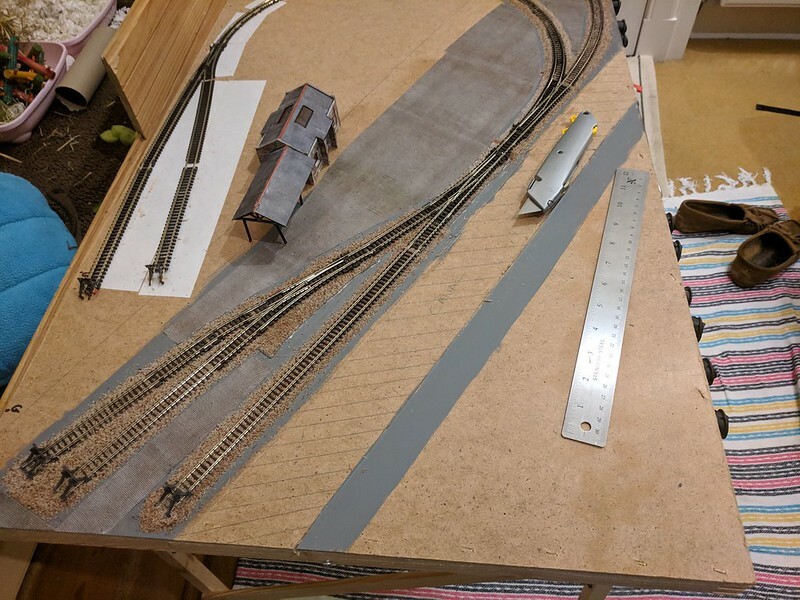 My wife and I have started setting aside Monday evenings to just chill out in the flat doing our hobbies, so I've started a new layout which is much smaller. 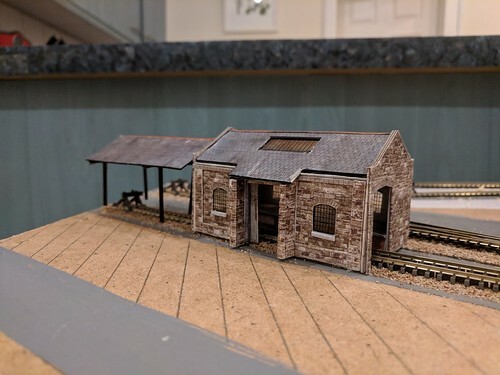 Loosely based on the Wharf Shed at High Peak Junction in Derbyshire that I used to cycle past on my way to work, the layout is an inglenook with two short storage sidings that will be behind a backscene. It's built on half a wallpaper pasting table so the scene is much compressed. 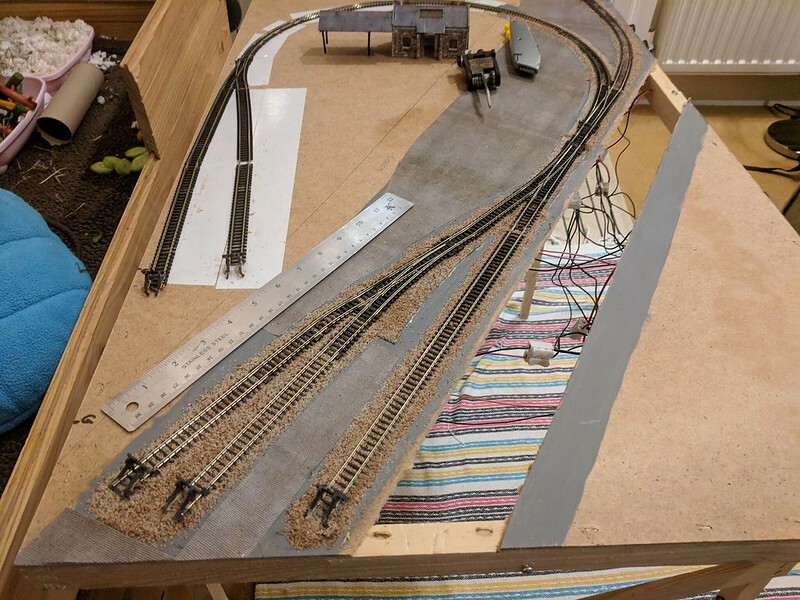 I've got it to the point where it's wired up (DC), the track in the foreground is set in stone while the storage yards are likely to get rejigged a bit. It's unlikely that I'll keep the High Peak Junction name - it's so compressed and jigged about that it's not the same at all. Also, where the track goes off-scene is, in real life, an enormously steep hill that rolling stock was winched up. If I come up with something I'll post it up. The grey areas are the yard and towpaths. 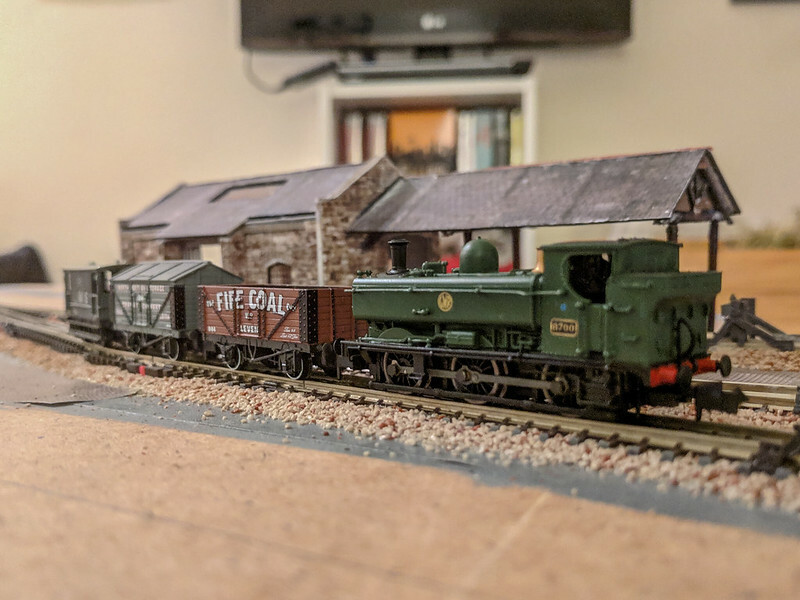 I covered the yard in scalescenes cobble sheets last night. The hatched area will be cut out to form the canal. The area above the yard will be a retaining wall with vegetation and trees, and there will be trees in the area in the bottom left. 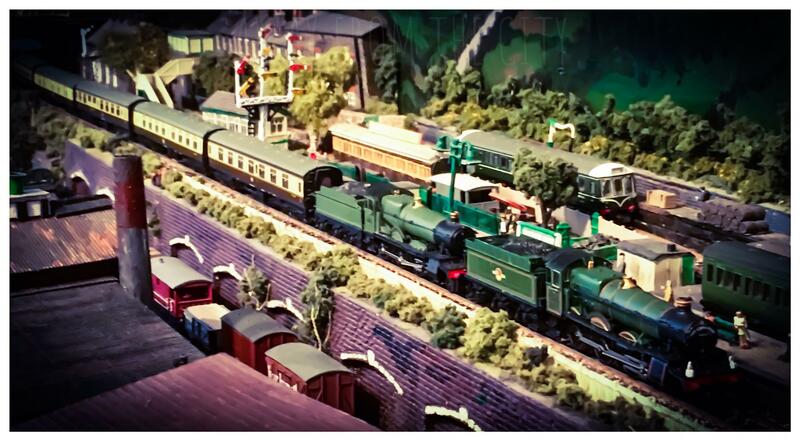 The buildings and retaining walls are Scalescenes. They're nice looking kits once they're done but so far these three buildings have taken me three months' of Monday evenings- the crossing keeper's cottage in particular is a real pain. Fortunately, it seems the retaining wall kit will be quicker to build since there's a couple of feet of it, ditto the canal walls. Here's the Wharf Shed in real life today, it's not an accommodation centre. Here's my Scalescenes lightly kitbashed version. The next job is to start the retaining wall and cut out the canal. Which probably won't be done on a Monday evening when my wife is trying to relax 6 feet away! You're google hosted picture aren't displaying Luke. I think google are challenging for sign-in. Thanks, I've moved them to Flickr so they should appear now. Quite a good representation Luke. Worth the wait Luke. Nice work. 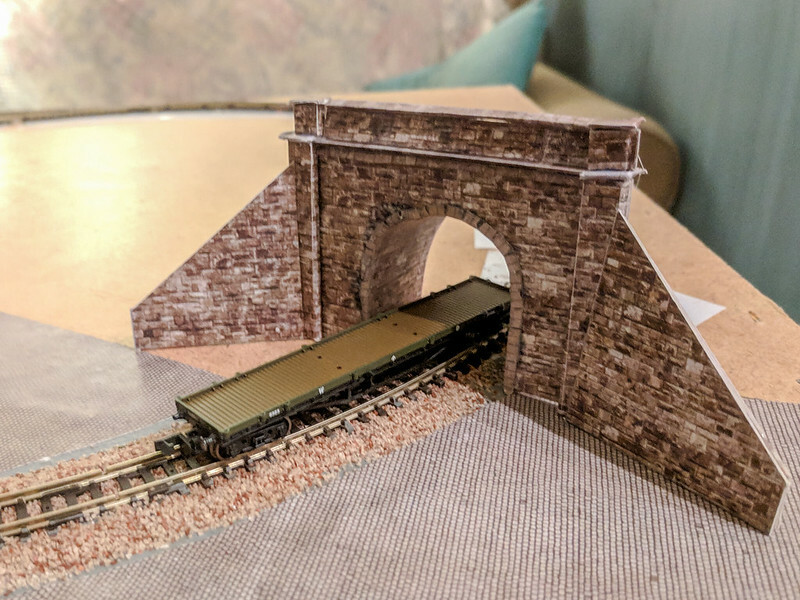 That is a really nice idea for a micro layout, should look lovely with the canal at the front. All looking good and looking forward to more of your build. Not a bad way to fill in Monday evenings! 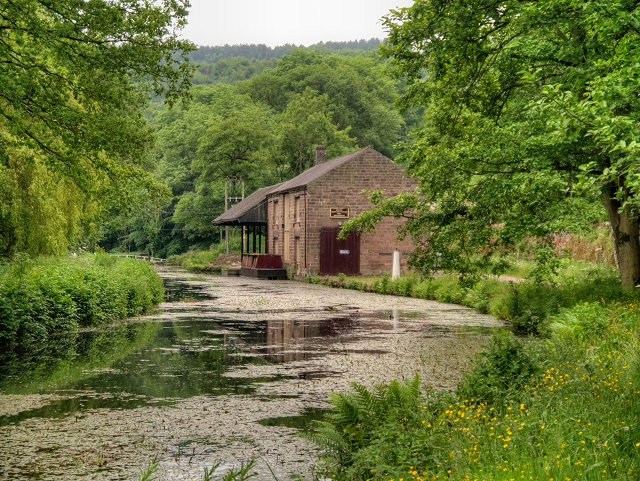 This is an interesting area for me because one branch of my family hails from there and they were involved in the canal as well as the railway (I think). Initially, I thought that the warehouse was the one next to Arkwright's Mill, but checking maps it isn't. Good luck and I look forward to more pictures/updates! Kernna - here's a map showing the railway and canal as they were. Arkright's Mill is shown in red, the newer Masson Mills in blue and the sidings I'm modelling in orange, with the canal in blue alongside it. This bit of the railway didn't serve the mills but limestone quarries up the hill. 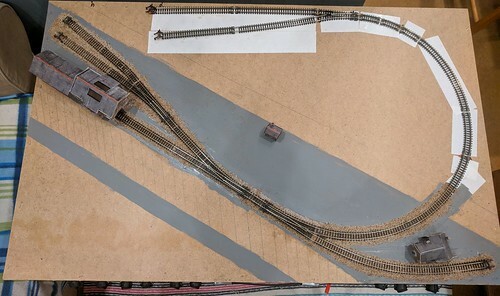 Scaled correctly the layout would be almost twice as long as it is but it's meant to be a bit of fun, rather than totally accurate. This Monday was wiped out by a solicitor's meeting for a new house (which may mean I can get my static grass applicator on the case for landscaping if we get moved in and unpacked at the right time! 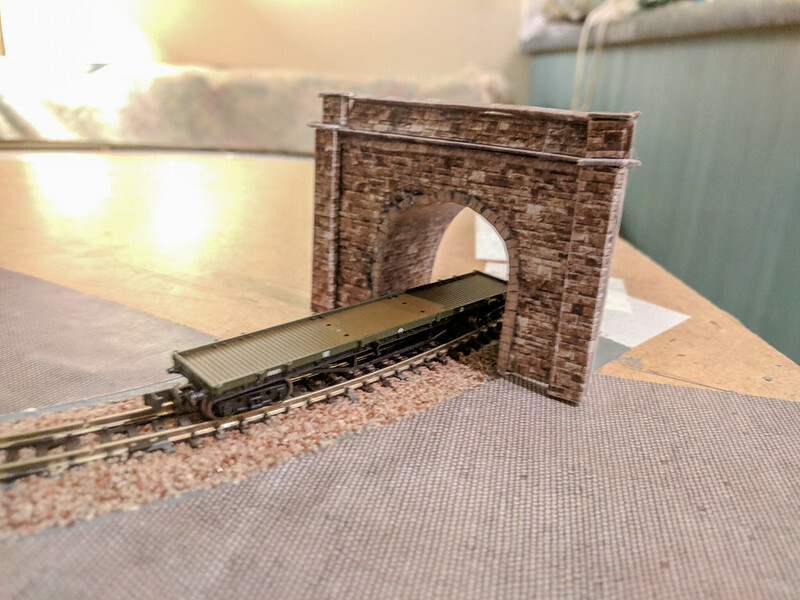 I was planning on using scatters because I don't have all my gear in the flat) but on Tuesday I finished off the tunnel mouth that leads off-scene. Great photos - keep them coming. I’m interested to see how you model the canal. Darrwest- I started modelling it last night. We are moving into a new house at the start of April. The base of the canal will be made from the top of the other half of the wallpaper pasting table the layout is made of. I didn't really want to put half an unusable pasting table in the mover's van so thought I'd better get going! 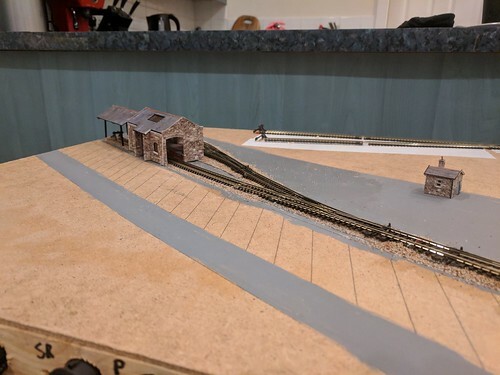 Before that I got a little bit of time on Sunday to finish off the administrative building at the right hand end of the layout. 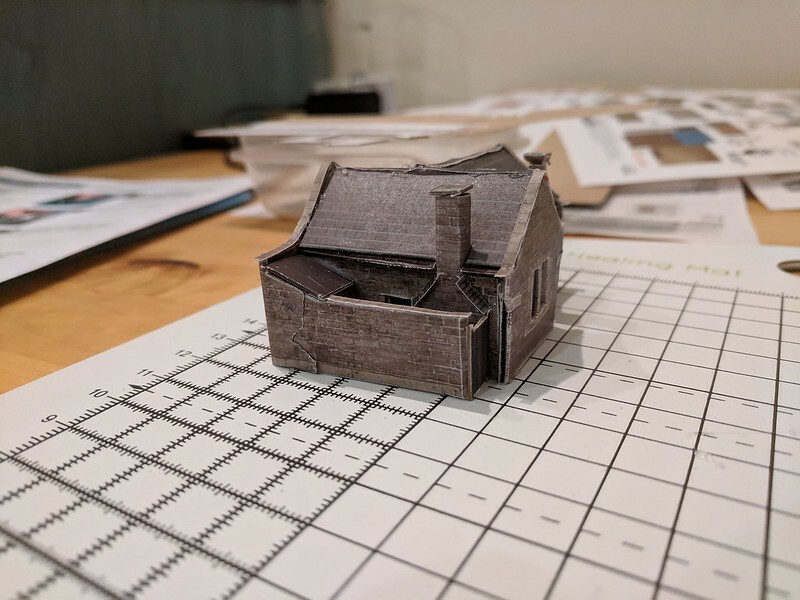 This is a Scalescenes crossing keeper's cottage and it's taken ages. 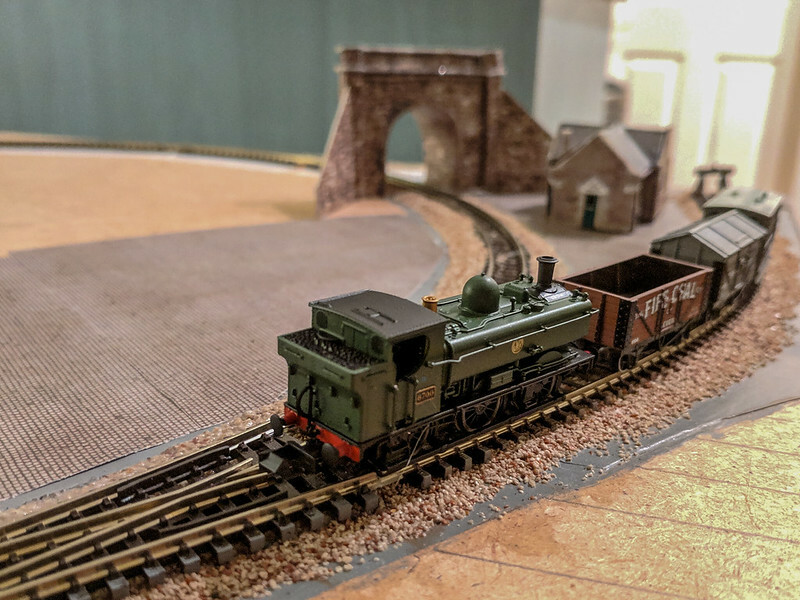 In hindsight, I should have started this kit after I'd practiced on the goods shed and retaining walls. 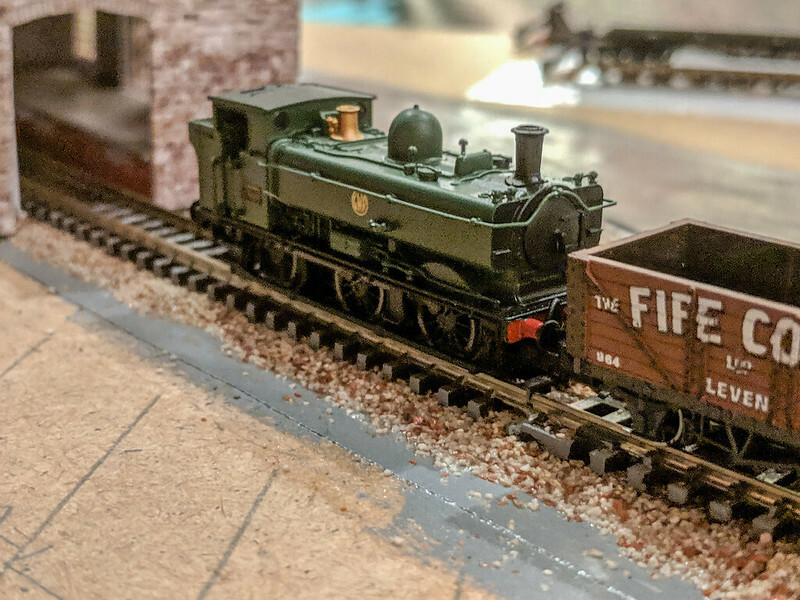 It's quite a complicated kit to build in N gauge - I'm not sure its translation from a OO gauge kit to N gauge is entirely successful. That combined with my skills means it's a bit shoddy up close. However, as it took nigh on a total of 8 hours to build I'll not be doing it again! 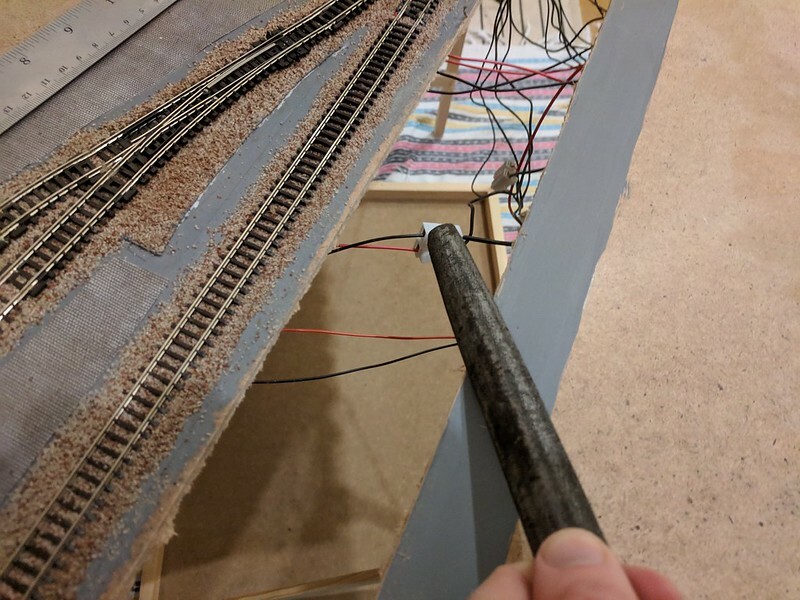 To model the canal, I started by cutting out the route of the canal from the baseboard. To make this easier and neater, and less messy since it was in my living room, I used a stanley knife. Around twenty passes on each side managed to cut through it. Then I filed down the edges so it'll take the paper covering I'll be using better. The plan is to wrap these edges in dock wall tops from Scalescenes. Beneath this will be a layer of hardboard in line with the edge of the canal to produce canal walls, wrapped in stone sheets. Then a painted board will go at the bottom to form the base of the canal. 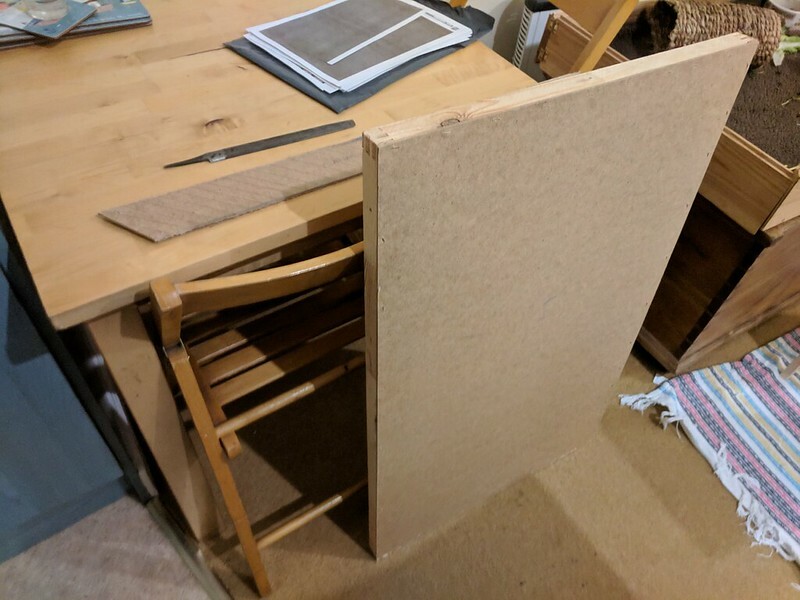 I am, however, pondering leaving out the walls as, at about 3mm thick, two layers of hardboard would mean that the canal top will be almost 3 feet from the towpath, which is too much. The base of the canal came from the other half of the pasting table used as a base board. 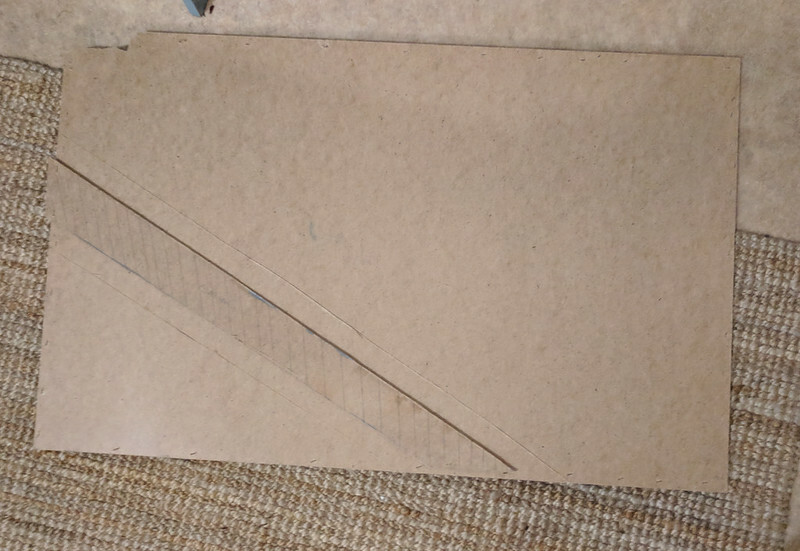 Using the piece I'd cut out of the other board as a template, I made a base around 1" wider than the canal which can then be glued in place under the baseboard. 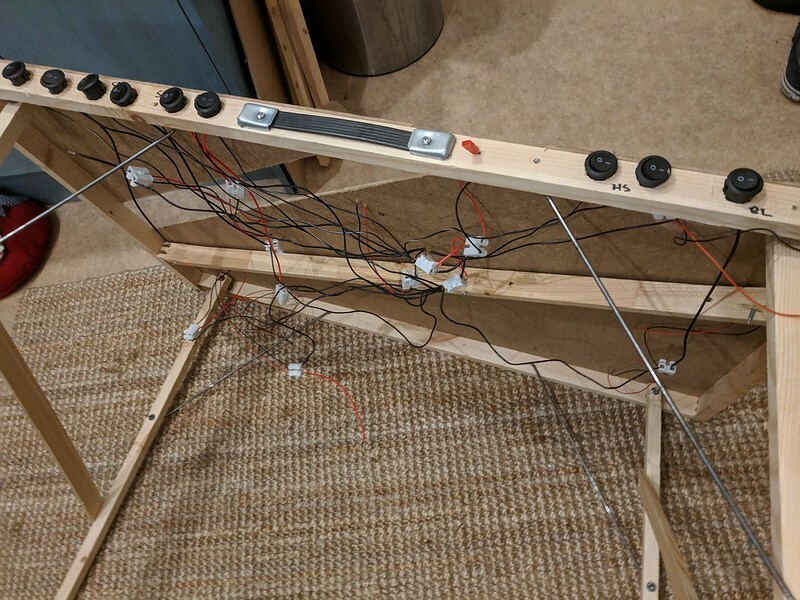 Removing the canal from the top made the board very flexible, so I added some support that I should have put in months ago! And that's as far as I got this week. I'm hoping to paint the canal bottom next week - has anyone got any tips for what colours I should be using? It looks from real photos like black and very dark brown will do. I'll be creating the water using Chris Nevard's method with PVA (there's not really time or a suitable space for a varnish base. Given we only have a living room and a bedroom the smell of varnish will be unbearable). 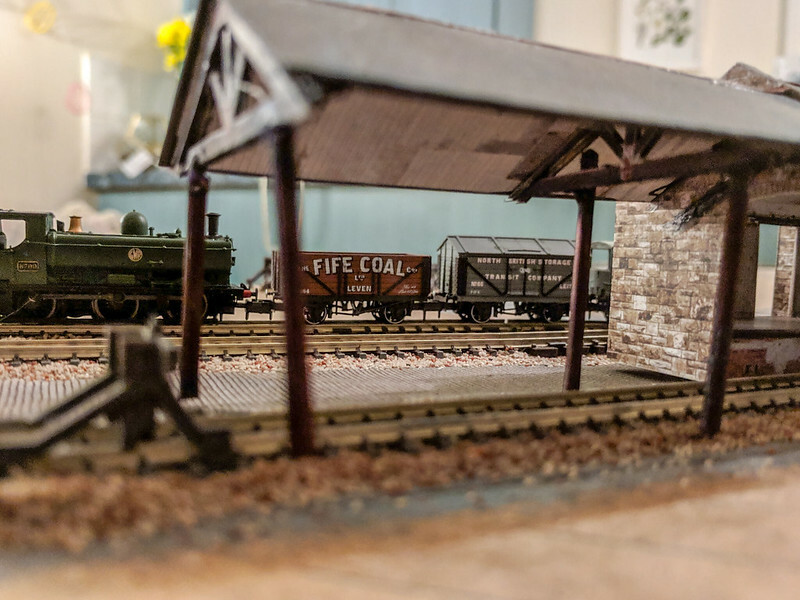 Hi Luke, spookily I also built a small (4'x2') layout when I relocated to a small flat in Edinburgh (Granton) a few years ago. I was lazier about my canal - I built up the banks above the baseboard. I used water-based mahogany varnish - about 8 coats, I think.